Firewalls are a key part of keeping networked computers safe and secure. They control traffic flowing in and out of the network, blocking suspicious elements and letting through trusted information. The departmental firewall service is intended for departments that want to improve the security of their computing environment within a given building or are required to meet government regulations regarding data security and privacy. 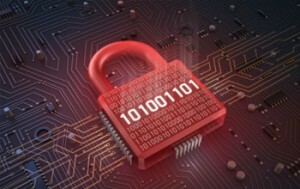 Firewalls are a key part of keeping networked computers safe and secure. They control traffic flowing in and out of the network, blocking suspicious elements and letting through trusted information. The departmental firewall service is intended for departments that want to improve the security of their computing environment within a given building or are required to meet government regulations regarding data security and privacy. A departmental firewall can protect multiple zones of varying security levels from each other and from the Internet while still providing a minimum of 100 MB of throughput. Additional protection from the campus network through segregation of specific computers. Complete customization to meet your specific security needs. 24/7 support model — the Division will work with a department's IT Pro after hours. Ongoing upgrades to firewall hardware and software. Division staff stays current with the latest security threats and exploits and thus are able to assist and advise departments to ensure their systems are secure. Firewalls can be deployed at remote branch offices in "VPN mode" to make the remote location appear to part of the main campus. No software is necessary; the site becomes just another campus office. Please use the Network Consulting Request form to request pricing for departmental firewall service. Consultations are required prior to departmental firewall implementations. Please complete the Network Consulting RequestForm to request pricing for departmental firewall service. There are a number of factors that could affect the proper functioning of a building network. If you are experiencing network problems, please consult your IT Pro, who has access to technical experts within the Division. If your IT Pro is unavailable, please contact Tech Support at 573.882.5000.